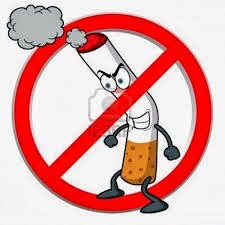 Several weeks ago, the Lagos State govt passed a law banning smoking in public places. While some Lagosians received the news with mixed feelings, others commended and supported the govt of Raji Fashola SAN for its commitment to making Lagos state a safer community for everyone. It is worthy of note that a similar bill is being considered before the National Assembly in the guise of the National Tobacco Bill which is being sponsored by Hon. Dayo Bush-Alebiosu representing the good people of Kosofe Local Govt in the House of Representatives. Many Lagosians are however still in the dark about the actual provisions of the law. Legalnaija in its bid to inform Nigerians about their civil rights,duties and obligations in law dedicates this blog post to informing about these lagos state law which is the first of its kind in the country. Being in possession of any other list of substance in a form in which it could be smoked. The law further provides that no person shall smoke in all public places including but not limited : All places designated as “No smoking areas” by the act of the National Assembly in Nigeria; Libraries, Archives, Museums and Galleries; Public toilets; Hospitals and other health care premises; Creches, Nurseries, Day care centres and other premises used for the day care of infants, children and adults; Kindergartens, Nursery, primary and Secondary Schools; Public telephone kiosk or call centers; Public transportation vehicles within Lagos state; Private vehicles which have more than one person inside; School buses; Restaurants; Cinemas, Concert Halls, Theaters, Amusement Arcades, Studios and other premises used for entertainment of the members of public; Halls and any other premises used for the assembly of members of the public for social, religious or recreational purposes; Conference centers and exhibition halls; Shopping centers; Retail shops; Factories and other premises that are non – domestic premises in which one or more persons work; Premises which are being used wholly or principally as a place of work; Lifts; All common parts of flats or communal spaces; Any place that is enclosed or substantially enclosed and opened to the public. 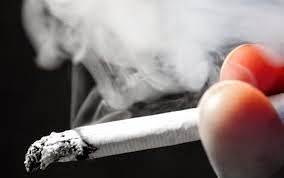 The law however allows owners of Tertiary institutions; Bars and Night clubs and Hotels to designate no more than 10% of their premises as smoking areas. It also mandates that owners and managers of public places must put up “No smoking signs” in their premises; install smoke detectors in no smoking areas and ensure that anyone smoking outside a no smoking area must do so at least 10 feet away from the entrance of the premises. any one that violates this provision of the law is liable to a fine of N100,000 or 6 months in prison or both. Where this law is breached by an organisation, if it is committed by an officer of the organisation shall be liable to a fine of N250,000. Smoking areas must have also proper ventilation and where necessary ventilation equipments. Authorised officers have the authourity to enter such places in other to inspect that the law is complied with and it is a crime to prevent such officers from carrying out their duties.Persons who violate this law are liable upon conviction to a fine not less than N10,000 and not more than N15,000 or imprisonment for a period not less than one month and not more than 3 months or both. The court may also stipulate any non – custodial punishment that it deems fit. Repeat offenders are liable to a fine of N50,000 or imprisonment for a term of 6 months or both. Smoking in the presence of a child under the age of 18 in a way that will be injurious to the child is an offence and offenders on conviction will be liable to a fine of N15,000 or imprisonment for a term of one month or both.